CBS will not be messing with a good thing. The network, which has seen ratings skyrocket for its award-winning airings of Army-Navy football, will keep the game’s kickoff at 3 p.m. Eastern this year, per a news release announcing part of the CBS college football schedule. 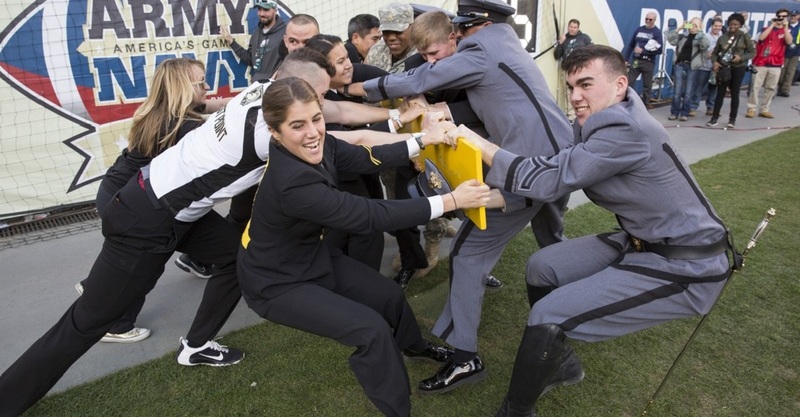 The Black Knights and Midshipmen will square off Dec. 8 in Philadelphia. It will be the second time Navy appears on CBS in 2018, as the Mids will face Navy in San Diego at 8 p.m. Eastern on Oct. 27 in the second half of a CBS college football doubleheader. Florida faces Georgia that day at 3:30 p.m. Eastern in another rivalry of note. Navy and Notre Dame have played each year since 1927. While the Mids visit South Bend about every other year, the Irish don’t visit Annapolis; instead of Navy hosting, the teams square off in larger stadiums, frequently in Baltimore but more recently in Jacksonville, Florida, and Dublin, among other host cities. Navy’s ticket allotment sold out in early May, but seats are still available at SDCCU Stadium, which has a few more empty dates on its schedule than it did when the game was announced in 2015. The Mids will travel 26,496 miles in 2018, per a Navy Athletics release, not including any distance they could cover for bowl games or the American Athletic Conference championship. Their first trip is the longest, as they face Hawaii on Sept. 1 in their season opener.